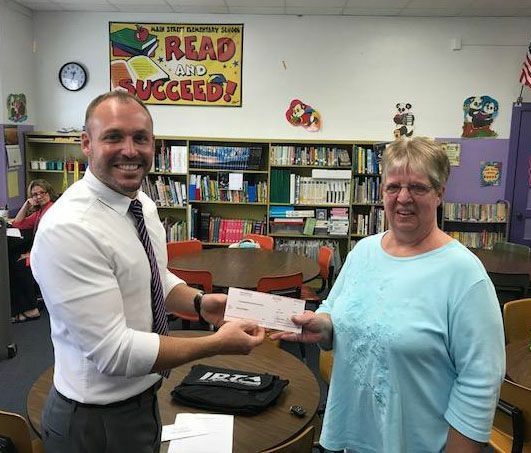 School, Shelbyville ($750.00) Area 5 I work with an Accelerated Reading program. We encourage reading of all types of literature especially nonfiction. Each child is encouraged to read daily at home with their parents and in school during their AR reading time.Then the students take a test on their book to check for comprehension. We provide incentives and prizes for good scores and the amount of books they read. The IRTA Foundation designed this program based on the idea that educators often do not have additional revenue sources available for unique student projects or classroom materials. This program allotted a total of $36,500 to Illinois public school educators for these purposes. Applicants were required to meet the proper criteria and to submit their proposals by early June. The IRTAF Board of Directors selected the grant recipients and awards are being presented now. The Illinois Principals Association played a vital role in assisting IRTAF with the promotion of this program.